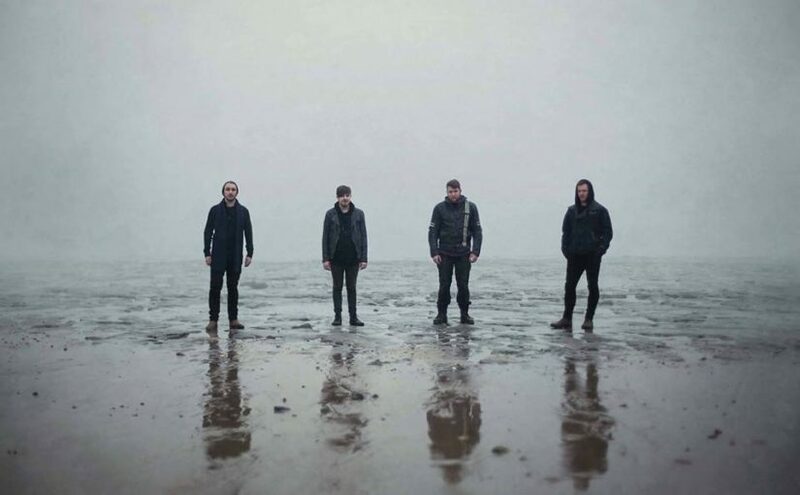 Recently I had the privilege of talking to TEDDY – JAMES DRISCOLL from TELEPATHY, a band who are generating a fair bit of interest from the Press, with new album ‘Tempest’ (which I also had the opportunity to review for Progradar) and the single from it, Celebration of Decay. Hi Kev, great to talk to you. Things seem to be going quite well for the band at the moment with the new album garnering favourable reviews, the single release and with some upcoming tour dates to promote them you must be feeling quite pleased? Yes absolutely, the band have had a good team behind them since before I joined in 2015 and we all have a lot more experience now. Various people do a great job of handling our press and promotions for UK & Europe, plus we are on a great label who are very responsive to what we need and want to do. We are pleased the album and single have had a good reception so far. Reading the blogs you seem to thrive on touring, are you the sort of band that feeds off the audience rather than shoe gazing as you play? Yes, we tour as much as possible, between day jobs. We obviously would like to do more gigs and it to be a full time thing. We like the immersive experience live, and have great crowds who always come to see us afterwards for a chat and it’s important to connect with them. I notice that you have stayed over in some unusual places whilst touring, a converted meat freezer and an old bank/squat? It beats sleeping in the van but are these the most unusual places you have stayed and any odd incidents? Last tour we did in Belgium, Pete, a tattoo artist, put us up in the squat, it was really nicely done up. It’s occupied by a left wing activist cooperative and they were really nice to us, although we have no political leanings and stay away from it with our music. We were in the vault and it was very cosy but a bit weird as it still had the huge vault door and we wouldn’t have wanted to get locked in. The next night we were put up in an old meat locker that has been re-purposed in Antwerp, with bunk beds and kitchen. You could still tell it was an abattoir but it had been cleared out and done up with a shower block upstairs. Beats sleeping in our van that we tour in, nicknamed ‘Pumba’. The Turek brothers’ Dad usually does the driving for us, with Rich’s Girlfriend doing the Merch stand and my brother as roadie. But it will be just the band on these upcoming dates, all the gear squeezed in ‘Pumba’ with us. We are precious about the sound but at the moment tend to use house PA systems whilst trying for the best sound possible and it’s usually pretty good. We understand with the complex sound we need it as clear as we can and would like own sound guy eventually. How do you find the audiences here and abroad, is it a wide age range, are they more male than female? It tends to vary in regions rather than countries, an audience in London for instance may tend to be more serious than one up North where they like to have a bit of fun. In Europe, again it is different for various areas in each country as well. The audiences do tend to be predominantly male but we are starting to notice more females watching with a range of ages. What happens on tour stays on tour, but who’s the ladies man out of you all? All of us have girlfriends except Peter, we call him Mr December as he’s our calendar model, He’s such a good looking guy so definitely him. He always stands out when we have a photo shoot, but he’s no lothario and always a gentleman. There is plenty of information on line but it seems to neatly sidestep personal details about you, is this a conscious effort on your parts to keep it separate and do you feel a need to retain a certain amount of privacy? I didn’t realise there wasn’t more information on our site, I will check it out. We don’t feel we are big enough, for the amount of interest in us at the moment to be to be an issue. We don’t really mind people knowing about us, I hadn’t really thought about it until now and myself I’m quite an open person. We don’t tend to get asked those sort of questions usually just the generic press ones. Outside of the music do any of you find time for hobbies or interests? We all have day jobs, I work in a call centre which I enjoy. I go to kick boxing and have quite a busy social scene that takes up my time. Rich focuses his attention on the band out of work whilst Albert and Peter love their motorbikes. We don’t rehearse every day but it tends to build up in intensity more, nearer gig dates. Before the CD was released we spent the whole six months prior on the band. We are all focused and know where we want to be with the band and the level we want to achieve. In your busy lives do you get time to listen to any other music and do you have a guilty music pleasure? Good shout, I saw two gigs by ‘Everytime I Die’ before Xmas and love ’em. In the gym or car I tend to play metalcore & deathcore, bands like Killswitch Engage. That sort of music was popular when I was at college and I grew up with that sort of thing. The lads like to rib me about it. Guilty pleasure? We have Cyndi Lauper’s greatest hits in the van and have a good sing-along as a bit of light relief when we’re touring. So how did you get together with the band and why this style of music? I had my own business, a cafe which didn’t work out, was off looking for a new job and saw Rich’s message on a Facebook group looking for a bassist. I’d played guitar and though ‘F*** it’ I’d give it a go. I didn’t own a bass at the time so borrowed gear off a friend, rehearsed a few times learnt the first album. I tried out and it just clicked then we were straight into doing the new album. ‘Celebration’ was the only one already fully written when I joined so I had to learn it. The rest of the tracks were written as a band thing, all four in a room and we are all so opinionated. Peter is always writing riffs and I have a few riffs but the one in ‘Smoke From Distant Fires’ is my only one on this album. We do it as a collaborative effort and all have our different ways, I tend to sit back and feed off the others. Having played guitar before, bass is a totally different discipline and I have had to teach myself, incorporating my own style into it. I like to emulate Geezer Butler he’s one of my main influences. I’m quite good at arranging so say my piece when we are doing this and that is probably where I am most involved, in the arrangements. There is more space on Tempest than on the previous album, which allows it to breathe and expand. It’s designed as a soundscape. 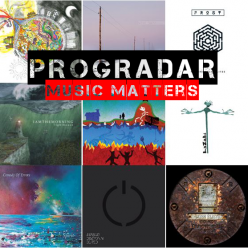 There has always been a need to categorise the style of music played, into genres and you describe yourselves as ‘furiously played progressive sludge, intricate soundscapes and a bucket-load of riffs’. Do you think labelling your style restricts you and the prospective audience as whilst I agree with most of the sentence, I wouldn’t call your sound ‘sludgey’? Aw, thanks Kev. Thing is with us, I know it’s an old cliché but we don’t like labels. 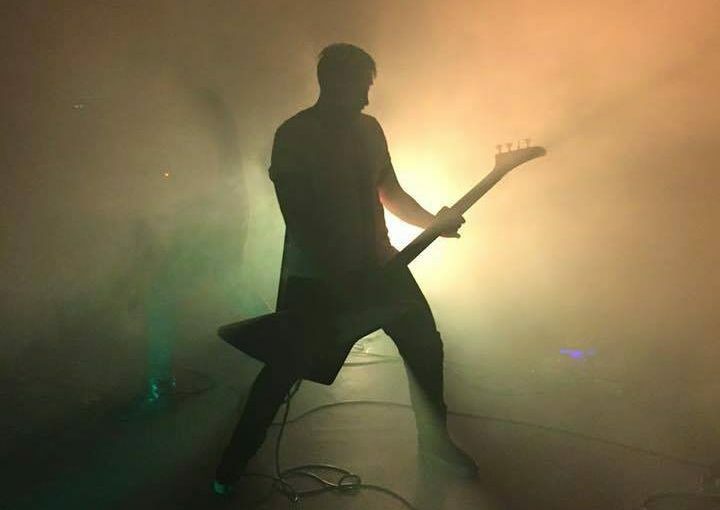 We get called post metal a lot among other titles and we definitely have that sort of influence, but try to put lots of different genres in, to me it’s ‘InstruMetal’ our own style. On listening to the album I personally felt the absence of vocals (negating those briefly in the background of Echo of Souls) added rather than detracted. It allowed me to focus on the complex melodies. Did you plan to be an instrumental group? When the band first started they were going to get a vocalist but things evolved and they felt one wasn’t needed. I did vocals on Echoes, for an effect and we may use vocals in future if it serves a specific song. I’m open to it if it works but if not leave it out. When I first watched the band before joining I thought vocals would be good, but now I’m in the band it feels more and more like they’re not needed. How did the concept of the album come about? When I first came into the writing process a few names for songs had been kicking around. We started writing and three or four songs in after demoing them we began to establish a theme in our minds and discuss what the music made us think of. Two themes in particular stood out water and earthquake ruins. We developed the story from that, with each new song bringing a new part of the story. Peter played what became the intro to the album whilst we were working on tracks and we thought it would be a great start. As if someone woke on a beach to all of the devastation and go from there. You can get your own storyline from the music seeing it differently to the band. That’s the beauty of it being instrumental you can paint your own pictures. You must all have dreams and ambitions but put on the spot where’s the one venue you would most like to play and why? I have loads, but I would feel I’d made it if I could play Brixton Academy, headlining. We are happy for our progress to go up in small increments, start at small venues and sell them out, then build up hopefully. I know you supported Raging Speedhorn and they are fans of yours, given the chance what other act would you like to play on the bill with and do you know of any other famous fans you have? If I could chose from any bands, Mastadon, Gojira, or Tool. No famous fans that I know of other than Raging Speedhorn, their Bass player Dave wore a Telepathy t-shirt for one of their gigs we felt really honoured. Are you technologically minded and gadget freaks or are you straight instrument and amps guys? Pete and Rich have vast pedal boards with all kinds of effects, I wouldn’t even try to tell you what they do. I keep it simple with a tuner and distortion pedal, but I trigger samples between songs as well, as we don’t like to leave silence between tracks. The continuity is important to tie the tracks together. For the most part with the music sounds we generally use big distortion, wind and atmospheric noises, waves, birds etc. Albert’s drumming makes it sound intense, without him we would sound totally different, he’s awesome. He doesn’t talk a big game but when you see us live everyone watches him, I know, I used to when I watched the band. So what would you say has been your greatest extravagance to date? Love to be able to tell you we’d trashed penthouse suites in hotels and partied all night, but we are just happy to get beers and food on our rider. We don’t have a lot of luxuries as a band as it is still very grass roots. It’s the kindness of others that gives us the extravagances like when we were given an apartment in Germany for one gig, fully stocked, next to the venue just a few steps away. It was really nice having our own space, in Tilburg. We went out and bought 30 beers after the gig and drank them outside and that’s about as extravagant as we get. The generosity of others keep us going. Everyone has been so nice and helpful at the moment including the press. Yours is the best review I’ve ever seen, it’s cool that you really got what we are trying to do with the album. So, to the the most important question of the day before we wrap up our chat, yoghurt and fruit or full English breakfast? Oh, full English 100%, given the choice, every time. Especially on tour, continental breakfast just doesn’t fill you, definitely full English. Well it’s been great talking to you Ted, thanks for taking the time out to chat with me. I hope all goes well with the release party and touring the new album. Who knows, I could be interviewing you in ten years time, with multi-platinum album sales after selling out Brixton Academy. That would be awesome and if we’re up North, you must hook up, come to see us live and catch up, thanks Kev. And with that we ended our chat. Ted’s a lovely bloke and I wish he and the band all the best in the future. I will certainly make the effort to try and see them live as well as meeting the rest of the band. Who knows, in ten years time….. Mind you, by then I don’t know if my zimmer frame will fit back stage. 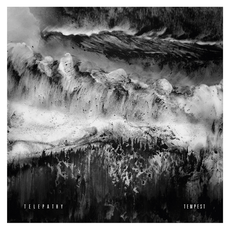 ‘Tempest’ is released on March 31st and you can pre-order it from Golden Antenna here. There’s a storm brewing and it’s name is not Doris. 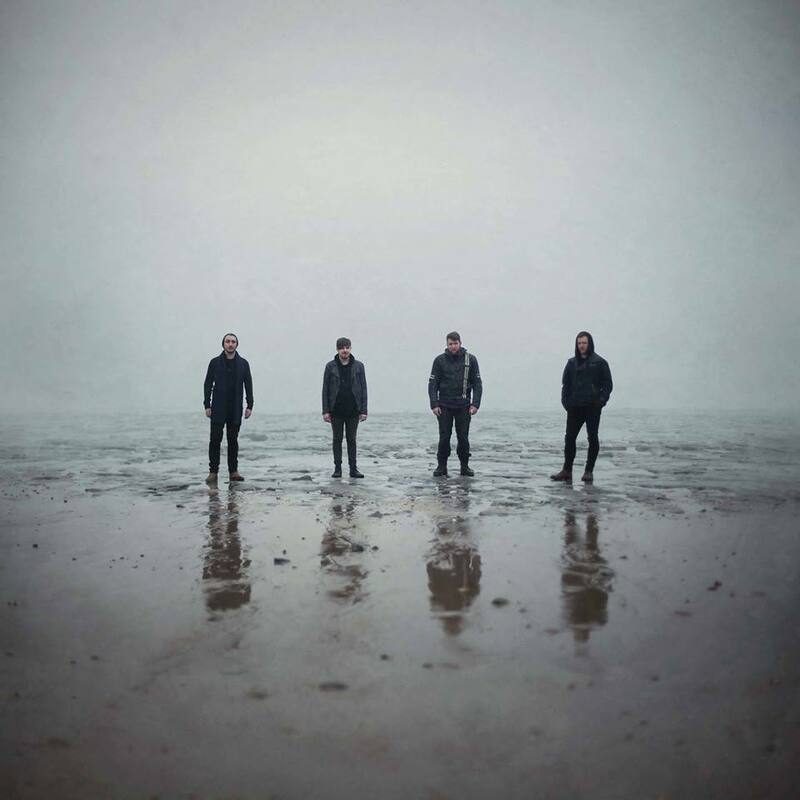 Welcome to the world of Telepathy who’s sound is self described as ‘furiously played progressive sludge, intricate soundscapes and a bucketload of riffs’. Their new album ‘Tempest’ is as heavy as your Grandad’s pit boots and blacker than the coal face he worked on, this is serious intelligent metal and your Granny better not forget it. 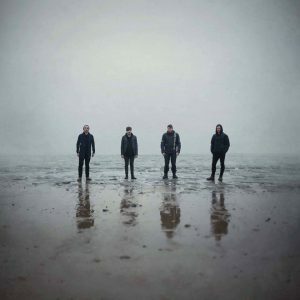 Formed in 2011 this Colchester, ‘almost instrumental’ Quartet comprising of, Piotr Turek, Albert Turek, Richard Powley and Teddy-James Driscoll, are loud and furious balanced with lighter passages and awash with melody, setting them apart from many contemporaries. I’ll enlighten you on the ‘almost’ later. There is a huge variety of riffs bursting from every track of this, their sophomore concept album which is based around the harrowing journey of a person tormented with grief and facing total isolation on awaking after a great flood. The album leads you on a journey from the awakening on First Light a delicate short piece with the peaceful sound of water lapping on the shore then the waves of emotion hitting you with force. You rise dazed from the pounding and survey the devastation around you and see Smoke From Distant Fires, as the grimy tendrils rise in thick clouds of guitars, pushed skywards by the heavy beat of drums. You are teased by moments of light as the cacophony fades momentarily and you try to recover your thoughts and bearings, mind swirling with cloying dark thoughts like the smoke blotting out the sky. With the realisation of what has occurred, you stumble forward, faced with Mother Nature’s Celebration Of Decay everywhere you turn, tortured walls of sound painting a grim picture as you tread a path through the desolate landscape. The ebb and flow of the waves recedes as you clamber over broken buildings and is blotted out by the Echo Of Souls from the shattered bodies strewn like beached fish after the waters returned to Neptune on bitter sweet echoing notes. It is here where the tortured background vocals put paid to the instrumental sway. Screams of the injured instruments and damaged limbs like an Apparition from Hell as people whimper for help, trapped beneath the rubble. People stagger toward you blood soaked and mauled from the brutal phenomena. Closing in around you their cries for aid building and you push your way through in no state to help them as you are as much a victim. This does not make sense, how did this come to be? The grief rises in you in terrible waves and Hiareth overcomes you, as you remember your family and the dawning realisation they may too have been caught in this. Are they still alive, are they injured, is anyone helping them? Your head spins with the music of suffering and panic raises nausea in you and you drop to the ground, retching in the muddy pools. The recent memories flood in, The Water Divides The Tides, as pieces fall into place. Wiping your mouth with the back of your hand you push yourself to your feet the oppressive weight of guilt strapped to your back and you make for the road and head homeward, to find what you will find. What caused this? Is it punishment for our sins, could we have done more? Have I been the best Father and Husband I could be? Retribution has been brought down upon us like a huge hammer, crushing everything underneath it. What can we do, just accept the aftermath and try to make amends? Is this what is expected of us, a Metanoia, repentance, to change our hearts? The heavy price paid, must be earned back and not gambled on as a game of reckless roulette. All must atone or all will suffer and perish. This is an album of structured complexity, a catharsis of experimentation and one you need to immerse yourself in, pulling yourself back to the surface to breathe then dive back in to listen again so you can fully appreciate the unbridled sonic tapestry. Not music to be taken lightly and only to be approached if you can swim with the tide and stay afloat. Not for the faint of heart but numerous listens will reward on an album of superior metal. If this is your type of music you won’t need telepathic persuasion to buy, it’s a must.